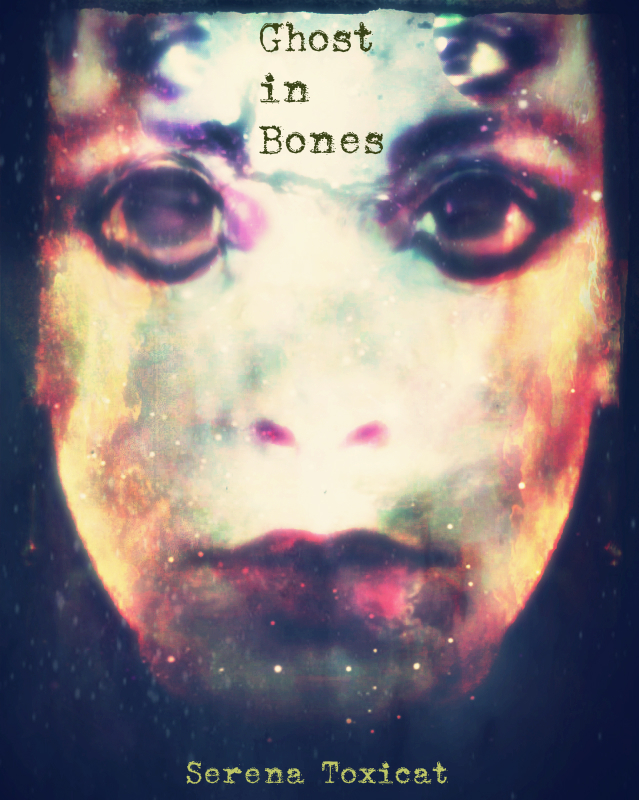 My latest novel, Ghost(s) in Bones, is basically finished! Is an author ever really done? And yes, I don’t know whether it will be Ghost or Ghosts. I wasn’t the only one. The book’s got spirits and my usual metaphysical weirdness, and it’s got some very mundane craziness, which often requires more suspension of disbelief. What is real? What is imagined? What only exists in those liminal spaces? It’s a memoir-style work about a woman with Anorexia, but it could be a man, a girl, a boy, or anyone in between. Our protagonist’s name is Pallas, and she also struggles with bipolar, PTSD and a handful–or brain full–of other maladies. It’s about trying to get some damned help in the US when one has no insurance and navigating a hostile system. I hope this book will prove useful in that regard. As for the description of the illness, itself, it is not a how-to, but a cautionary tale. I enter a forest, it’s stark enough to see limbs hugging cold birch trunks. It knows that some of the sturdier trees are in peril, too, and does not know what to do. Its population bears no one shape or color, cannot be sexed. I am a feature of this forest, withered, knobby. Some say I’m a dying reed and others claim it’s my kind that is going extinct — not because the disease that gnaws our bark, sap and soul is obsolescent — we are dwindling in numbers because it is killing us. I am a complex willow of a woman. There are many things that I do and have, multiple interests, passions, loves and little plagues. They are branches extending from the core that I view as I. When I try (and try and try) to fade out and become static, when even the skin of my face goes gray, writing my story feels somehow opulent. When I am utterly confounded that my heart is still beating, that my kidneys, liver, brain and muscles still function in spite of my every attempt to minimize and shed them, saying here I am can seem like an obscene riddle. I don’t want this. It’s complex. I don’t want this. I want to hold on to this because I have to. I defend my disease, cover its tracks, put its needs before my own, erase it with recovery gestures over and over again. I wait to die, impatiently. I couldn’t be this forthcoming if I expected to outlive this thing. The natural struggle to survive feels like a revolutionary act. Do I have it in me? I want to not be reincarnated, and fear I will be, anyway. I adore my cat and there are many people I love, but I hate being soldered to this earth. I am alarmed by the frequency of the word, “I,” already appearing on these pages. This is a letter to you, which I’m writing so you don’t become me. I live in a place where, within the greater climate of the thin ideal, curvy is the desired state of femaleness. I don’t care and neither does my Anorexia, which I’ve dubbed, “The Beast.” I could be living on a ring of Saturn. I certainly feel spacey enough. While I now teeter on the line that divides desirably thin and freakishly skinny, not long ago I was simply scary. ~ by Sumiko Saulson on October 2, 2014.